Jose played out his final hand - in terms of approach to New England - this afternoon. 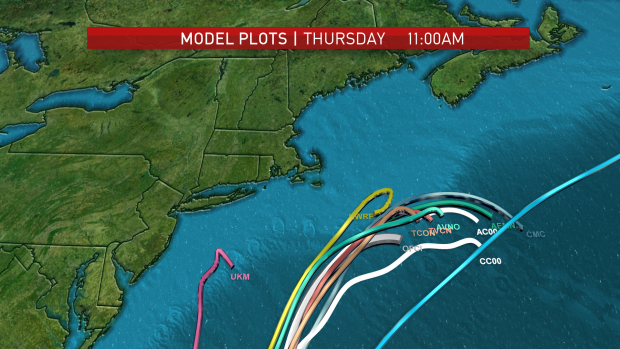 A slight jog to the east is all it took to drop Tropical Storm Warnings on the South Shore and part of Buzzards Bay. That shift to the east is significant too, given that we were only on the fringe of the storm from the beginning. Now the effects of the storm will be most felt across the Outer Cape and Nantucket. It's here we'll see a gusty rainstorm. Elsewhere, it's occasional rain through tonight and into early tomorrow. 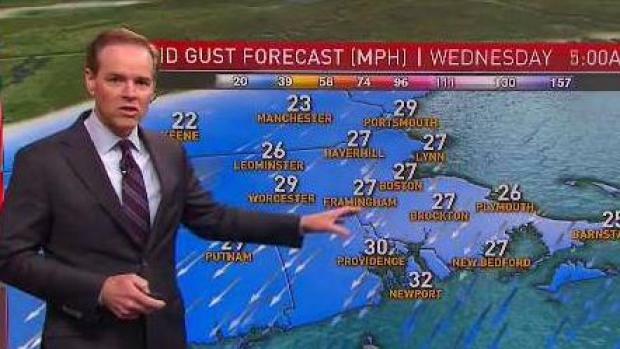 Gusts reaching 50-60 mph for the Cape and Islands, 35-40 closer to Boston. Windswept rain bands thru the early evening. Highs near 70. Gusts could still peak at 30-40mph along the coast - 50+ on the Cape/Islands - as the wind ramps up late tonight and through much of tomorrow. We're just starting to get the wind ramped up tonight, so a blustery day is expected tomorrow. Rainfall has been sparse this afternoon. More rain bands will come through tonight and into tomorrow morning as they pinwheel off Jose. Most of the rain will taper to a fine windswept mist tomorrow by midday. It's ugly, but more typical of a departing nor'easter. Jose will wander offshore through the early part of the weekend. Clouds and breezes should hold onto the Mid/Outer Cape/Nantucket until Saturday! Elsewhere, summer resumes with highs topping 80 away from the coast. A stellar weekend is in store. Maria is the next order of business. The Category 5 hurricane is heading for Puerto Rico tonight and tomorrow. Then it turns toward the Eastern Seaboard. Lots of spectulation at this point. We'll stay vigilent.